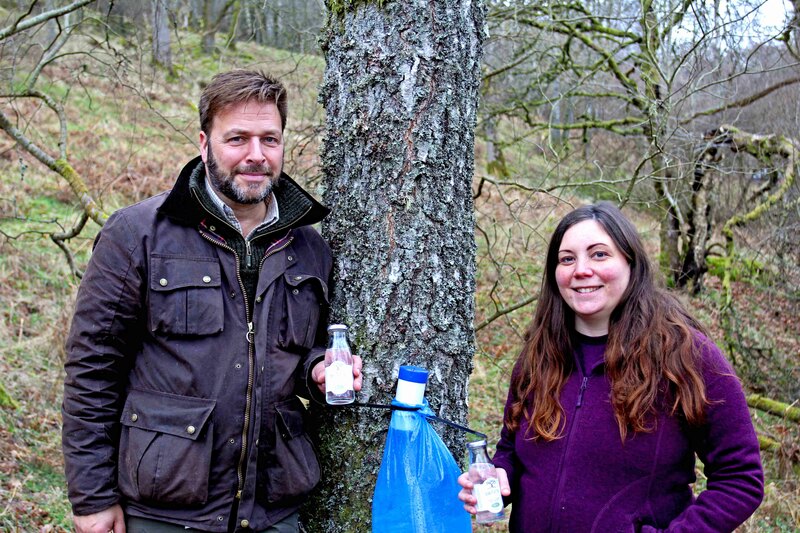 Husband and Wife team, Rob and Gabrielle are the first in the UK to make pure homegrown Birchwater (the Spring sap from Birch trees) and other Birch derived products, available to the discerning health-conscious. 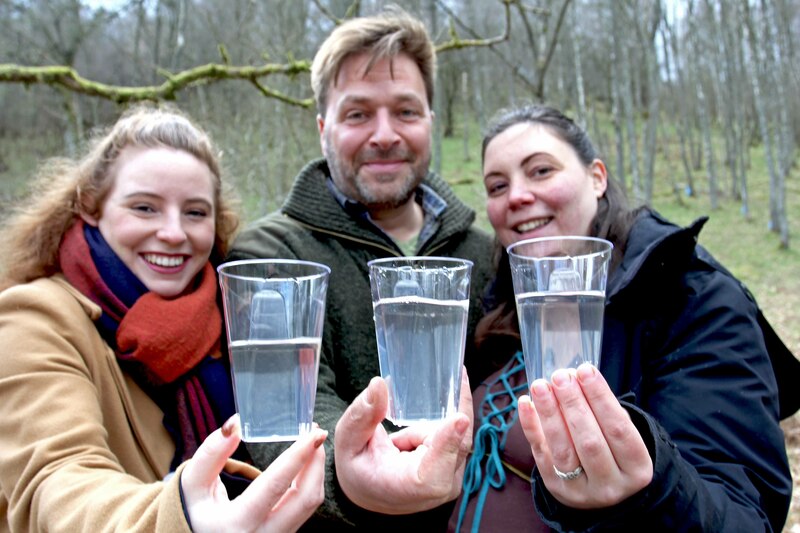 Their love of nature combined with the knowledge gained in their careers as Forester and Healer, led them to research the ancient Highland practice of collecting Birchwater. When they discovered the health benefits of the Birch sap, they had a genuine desire to share it and established their company Birken Tree in spring 2018. Birken Tree collect the Birch sap by hand in a fully sustainable way, protecting not only future stocks but the Birch trees themselves. The window for the tapping is only 3 weeks in the year in March/April, when the sap rises in the trees to awake them from their winter slumber and give them all the minerals and vitamins they need to come back to life. The sap is frozen as soon as harvested and then treated with no more than a gentle heating process, or it will ferment within 3 days, ensuring it maintains as many of its nutritional benefits as possible. Rob and Gabrielle also produce Birch leaf tea and Chaga tincture which are picked by hand and with great respect for the Birch trees. Many of us lead fast-paced, demanding lifestyles, which can leave us feeling depleted and struggling to battle any health challenges life may throw at us. Good nutrition is vital but sometimes an extra boost is needed. Birchwater contains many essential vitamins, minerals, enzymes and anti-oxidants and therefore works very effectively as a ‘tonic’. Highlanders consumed it in Spring to boost their immunity after the long challenging winters. The leaves, bark and Chaga, a specific fungus from living Birch trees, can also be used for relief from Arthritis, Rheumatism, inflammation, digestive discomfort and urinary problems, and give a boost of energy and the immune system, and help balance the hormonal systems that regulate the whole body. You can find out more about the benefits of their products on their website here . 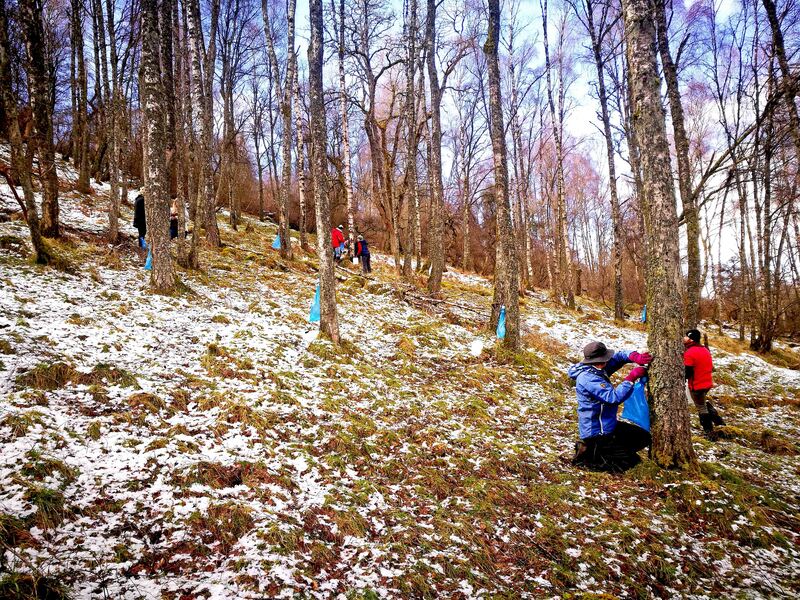 They want to revive this ancient Highland tradition that has been largely forgotten, and show how native woodlands are important from an ecological and environmental point of view, but can also be economically viable with non timber products harvested sustainably, giving people an alternative way to take care of their well-being straight from the Birch trees. By pledging, you will help them not only bring their business to life, but also be part of an exciting rewilding adventure that goes beyond them. You will help them take care of our precious wild Scottish nature and spread its goodness to help people feel and live better. 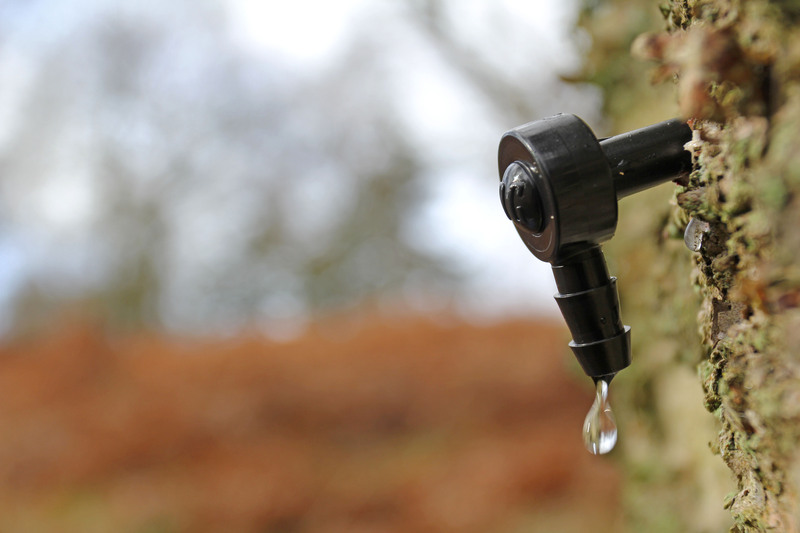 In the near future this will also boost the local rural economy by creating employment that is much needed for them to keep up with the production and sales, and make Highland Perthshire the first area inthe UK where Birch sap will be harvested again on a commercial scale. You will get special rewards and show them much needed support. Even if everybody gives a little, it can make a big difference. We need to reconnect with what our ancestors knew for thousands of years and reconnect with nature that can offer us so much. They had the chance to have Mr. John Swinney, Deputy Scottish Minister over for their official launch this year and been able to talk about how they revive this old Highland tradition and what nature has to offer. They also had wonderful support from Graham Glover at Perth and Kinross Council, Scotland Food and Drink, Make Innovation Happen and the Rural LEADER project fund. 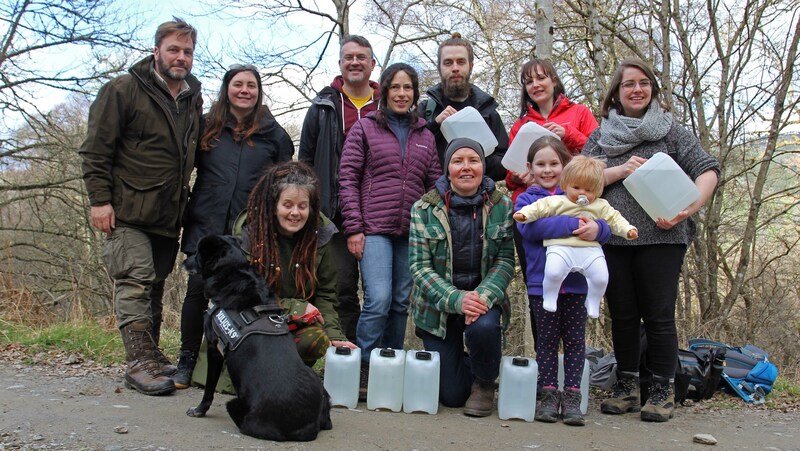 Thanks to Scene and Herd their PR company, this season attracted much media attention, who all loved coming to the Birchwoods to discover the intriguing tapping process. You can see more in the BBC programme Landward , and learn more in BBC Out of Doors here, The scottish farmer, Capital magazine, Insider magazine, Bite magazine, The scottish food guide, Tartanspoon blog, T'GO creative, BoysEatScotland, Pressreader and soon Scottish Field. The Aye Life help them with social media management. 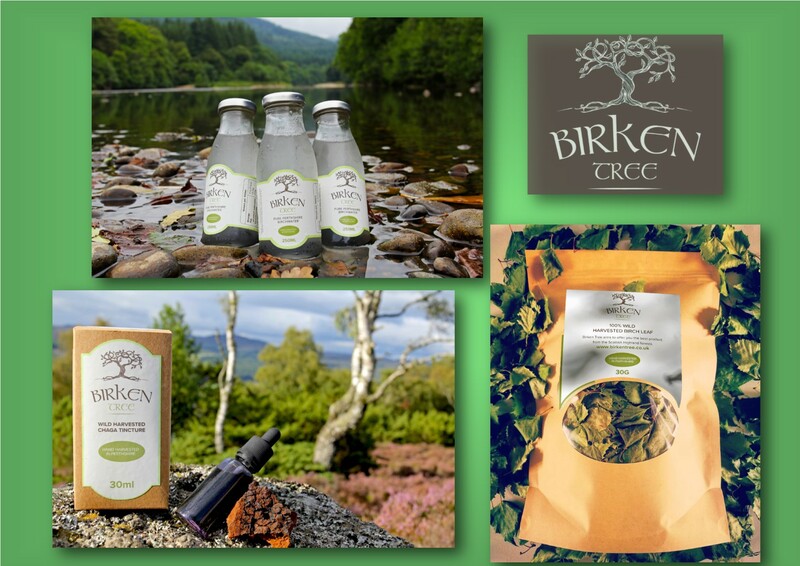 Birken Tree would love to develop Birchwater further allowing it to be more readily available. Rob and Gabrielle have already injected a large amount of energy, enthusiasm and hard cash into their idea but need your help to take it further. They are genuine people with a strong desire to share what nature is generously gifting us, for the benefit of us all. The growth of Birken Tree will provide, not only physical health benefits, but also future employment, education and opportunities to engage more intimately with nature. They also want to develop a sparkling version of their Birchwater for a nice fizzy feeling on its own or as a great mixer for cocktails, as well as two naturally flavoured Birchwaters: One Wild Cranberry/Blaeberry base and one Meadowsweet base for a wider range of wild flavours. 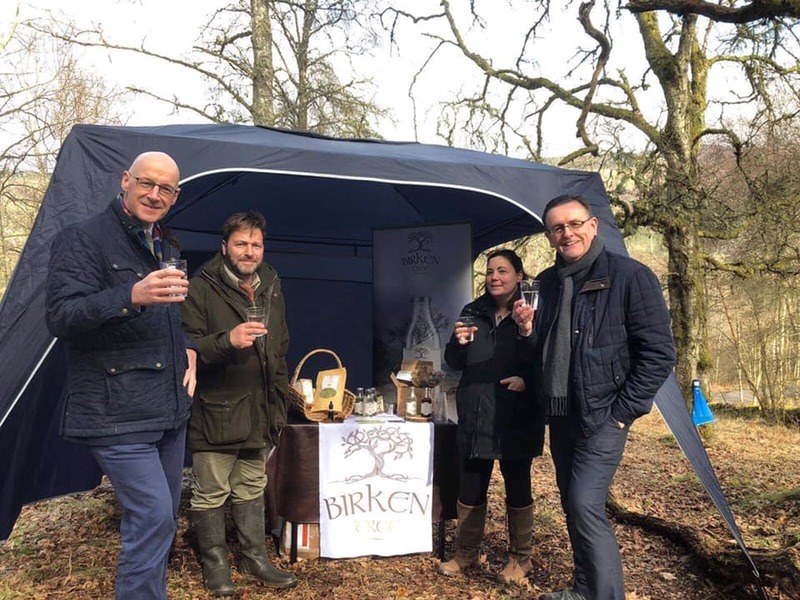 The principal of Crowdfunding sits well with the ethos of Birken Tree - as they want to involve communities and collaborations in their project, and get people playing an active part in the use and conservation of our native woodlands. They hope you are able help them launch their products to offer you the best of Highland Birch trees, harvested with love and great care. They would love to build a Birken Tree family and involve as many of you as possible! Thank you for your contribution, we really appreciate your support. Please send us your photo to be included in our ‘Wall of Supporters’. We would like to gift you: 3 bottles of our Birchwater and a Birch leaf tea bag. Thank you for your contribution, we really appreciate your support. Please send us your photo to be included in our ‘Wall of Supporters’. We would like to gift you: A bottle of our Birchwater. Thank you for your contribution, we really appreciate your support. Please send us your photo to be included in our ‘Wall of Supporters’. We would like to gift you: A Birken Tree coaster for under your bottle of Birchwater. Thank you for your contribution, we really appreciate your support. Please send us your photo to be included in our ‘Wall of Supporters’. We would like to gift you: A Birken Tree coaster for under your bottle of Birchwater goodness. Vouchers worth 20% off your next two purchases. Thank you for your contribution, we really appreciate your support. Please send us your photo to be included in our ‘Wall of Supporters’. We would like to gift you: Vouchers worth 20% off your next two purchases. A Supporters Certificate to hang on your wall. A Birch sapling to plant in your garden, to give a little back to nature. Thank you for your contribution, we really appreciate your support. We would like to gift you: Vouchers worth 20% off your next four purchases. A Supporters Certificate to hang on your wall. A t-shirt with a Birchpower slogan and our lovely logo. A Birch tree in the Birchwoods we work in, named after you with a name tag. Thank you for your contribution, we really appreciate your support. We would like to gift you: A hamper of our products. Vouchers worth 30% off your next five purchases. A Supporters Certificate to hang on your wall. A Birch tree in the Birchwoods we work in, named after you with a name tag. A day of foraging and woodland related fun in Perthshire. The date and location will be confirmed. Thank you for your contribution, we really appreciate your support. We would like to gift you: Vouchers worth 20% for a lifetime. A Supporters Certificate to hang on your wall. A t-shirt with a Birchpower slogan and our lovely logo. A Birch tree in the Birchwoods we work in, named after you with a name tag. A day of foraging and woodland related fun in Perthshire. The date and location will be confirmed. The chance for your company to enhance their green credentials. Funding the planting of 200 trees. Engraved wooden certificate. Naming of the grove of trees after your company. A chance to enhance the green credentials of your company. Funding the planting of 200 trees. A wood engraved certificate. 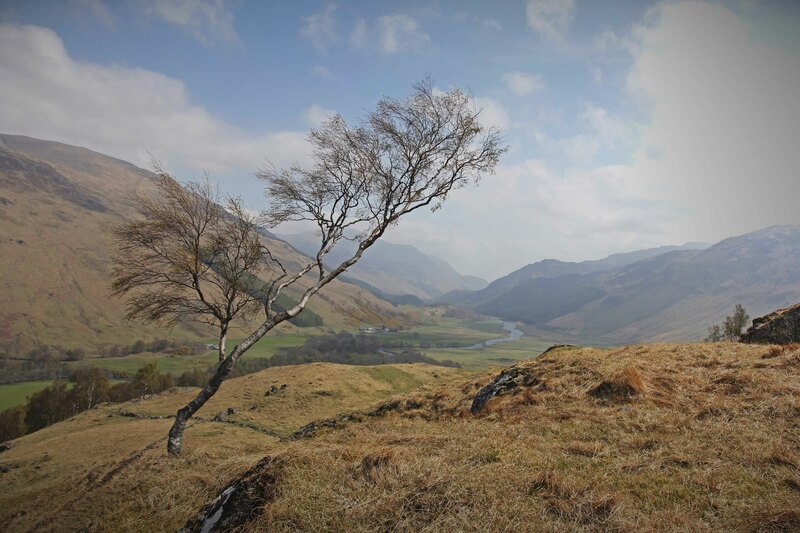 A company day out in Perthshire for up to 10 people, carrying out woodland related tasks. A chance to enhance the green credentials of your company. Funding the planting of 400 trees. A wood engraved certificate. A company day out in Perthshire for up to 20 people, carrying out woodland related tasks.